Pantone have chosen the colour of the year- Living Coral. This playful, bright and happy colour may not be a traditional colour to add to your home, but it can bring life into any space. Living Coral is perfect for taking up a whole wall or just adding some colour to the smallest area. Perhaps you want to revamp a space but committing to a whole new wall colour is a bit extreme? Why not add a hint of coral to your space through the accents- make the drawers or their handles a new colour. This can make a huge difference to a space, especially a kitchen or bathroom. If you’re willing to take it that step further you could place some Living Coral coloured tiles to an area, they would make for a unique splashback. If you’re after something on the bold side, why not use living coral as the colour for a feature wall. It would add a touch of whimsy to an otherwise plain, tiled bathroom, or perhaps create a talking ‘piece’ in the living room, where you can break it up with framed images and furniture. 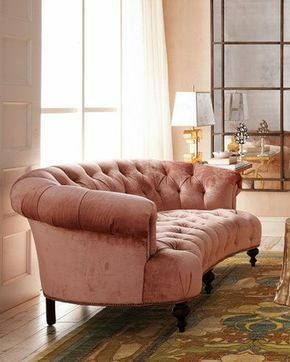 Everyone loves a great chair, and what could be more of a statement piece than a lush, coral lounge? But if this is too over the top, revamping that old set of drawers or cupboard doors with some fresh colourful paint could be the touch of colour you need. Living Coral is essentially a more vibrant ‘blush’ tone, and can be mixed and matched with a wide variety of other colours. Navy makes for a good balancing colour as the cooler tones juxtapose the warmth of the pinks. Place some navy and coral feature cushions on a couch. For a subtler look- pair coral pieces with greys or tan objects, this will allow the coral to really stand out in a composed way.